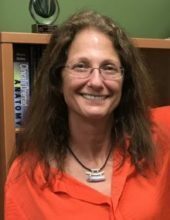 It is not always easy to speak candidly about yourself, but Dr. Karen Numeroff did just that so that she could share with us the valuable work that she does here at Life University. As the Alternative Admissions Track (AAT) Success Coordinator for LIFE’s College of Chiropractic, Numeroff works with those students who are admitted to the College through the alternative track instead of regular admissions. They may have either not completed all of their prerequisite coursework, or they may have a slightly lower GPA (between 2.75 and 2.9) than required for admission. Not to be overlooked, these students are given admission, and Numeroff then becomes a mentor to them, helping with their scheduling, providing academic support, answering their questions and generally guiding them to academic success at LIFE. It is at that point that Numeroff reviews with the student what they can do to make a positive impact on their grade. She goes over different learning styles and the different ways of studying the material, time management. She, perhaps, may recommend an academic workshop or a referral to LIFE’s Supplemental Instruction Program. Numeroff is a Doctor of Chiropractic herself who also graduated from LIFE in 1991 and went into practice before returning to LIFE as a faculty member. Her career here has progressed from teaching labs and lectures in several clinical sciences courses to helping in the development of the Clinical Education Track (CLET) to overseeing LIFE’s OSCEs and then CARP. Numeroff has also participated in NBCE Test Writing Committees for Part II, III, and IV and is a member of the CCE Academy of Site Team Visitors. While she is undoubtedly devoted to Chiropractic, it was not Numeroff’s first career choice. After her accident at eighteen, she obtained a degree in archeology with a major in physical anthropology and then worked at various archeological sites worldwide. She says, however, that while archeology is something that she loved, it is a lot of very hard, physical work. She had reached a point where she could no longer put more pressure on her injured ankle. When she sought medical relief, she said that her doctors wanted to give her cortisone shots, prescribed the use of a cane and eventually wanted to fuse her ankle – all of which she would not allow them to do. She was not going to just blindly do what the medical doctors said since she felt that there had to be a better way to treat her injury.